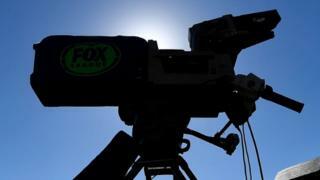 TV firms may have to move some operations abroad if there is no Brexit trade deal, the body for international broadcasters in the UK has warned. It says thousands of jobs could potentially be at stake in the event of a "hard " Brexit, where the UK leaves the EU with no formal trade agreement. The Commercial Broadcasters Association (COBA) speaks for media networks such as Eurosport, Disney and Discovery. The government says it "will work to get the right deal for broadcasters". The UK dominates Europe's broadcasting sector, due to the availability of skilled employees and English being the dominant language in the industry. Thanks to the country of origin principle, hundreds of international media organisations based in the UK can broadcast to anywhere in the EU. Adam Minns, executive director of COBA, estimates that one in four jobs in the UK broadcasting sector is working exclusively, or in part, on an international channel. He also says there is more than £500m a year invested in wages, overheads and technology. "No [trade] deal would jeopardise the UK's status as Europe's leading international broadcasting hub," says COBA. "International broadcasters based here would, reluctantly, be forced to restructure their European operations. No deal would put at risk thousands of jobs in the UK broadcasting sector, hundreds of millions of pounds of investment every year, and would undermine the sector's long-term global competitiveness. "Like many sectors, broadcasters cannot wait until the cliff edge of March 2019 to make decisions about the future of their European businesses." Media watchdog Ofcom recently said that Brexit was now one of the biggest challenges facing the sector. Meanwhile, Amsterdam and Dublin are just two of the cities hoping to attract broadcasters. However, the Department for Digital, Culture, Media and Sport said: "The UK is currently the EU's biggest broadcasting hub, and the sector makes an important contribution to our thriving creative industries. "During our negotiations with the EU we will work to get the right deal for broadcasters and will support their continued growth in the UK."